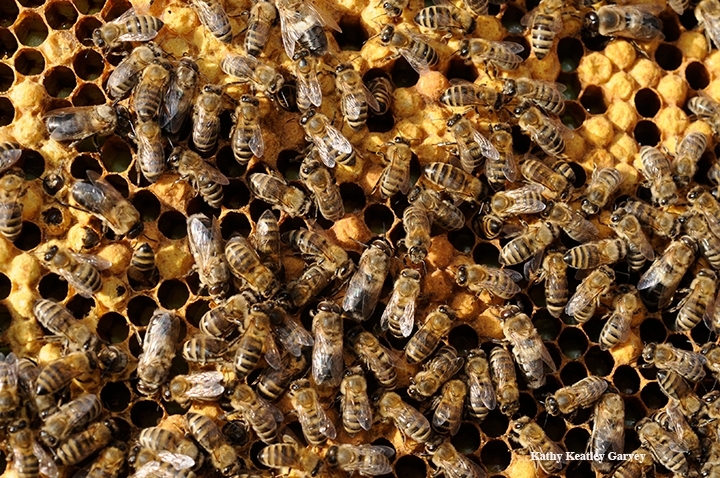 "Where can kids learn beekeeping for free?" someone asked us last week. One of the ways is through the 4-H Youth Development Program. Who can join 4-H, which stands for head, heart, health and hands and which follows the motto, "making the best better?" It's open to all youths ages 5 to 19. In age-appropriate projects, they learn skills through hands-on learning in projects ranging from arts and crafts, computers and leadership to dog care, poultry, rabbits and woodworking, according to Valerie Williams, Solano County 4-H representative. They develop leadership skills, engage in public speaking, and share what they've learned with other through presentations. At the recent Solano County 4-H Presentation Day, held at Sierra K-8 School, Vacaville, 4-H'ers presented demonstrations, educational displays, illustrated talks, an improv, and an interpretative reading. 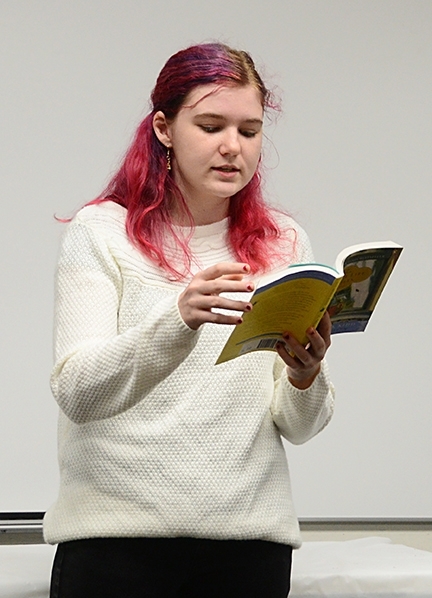 The interpretative reading was about bees. 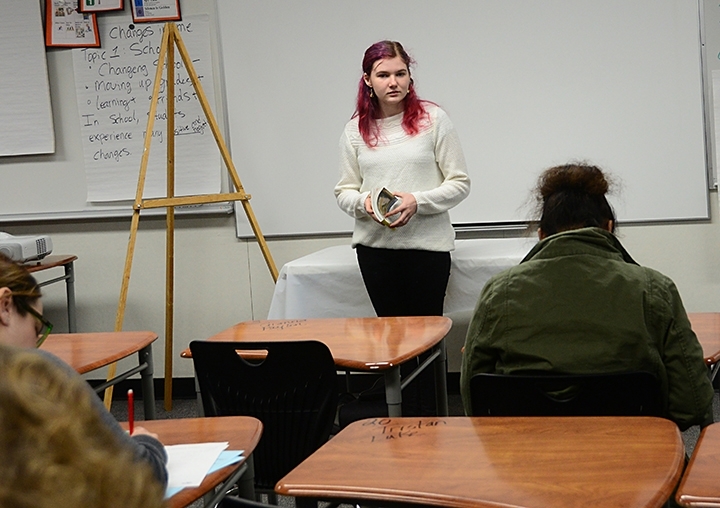 Kailey Mauldin, 15, a sixth-year 4-H'er and member of the Elmira 4-H Club, Vacaville, delivered an award-winning presentation on Sue Monk Kidd's New York Times' bestseller, The Secret Life of Bees. Kailey read and interpreted passages, and answered questions from evaluators JoAnn Brown, April George and Kelli Mummert. Kailey related that the story is set in a fictitious rural town in South Carolina in 1964 during the civil rights era. Fourteen-year-old Lily Owens "has just run away from her abusive father named T-Ray," Kailey recounted. "Her mother passed away at an early age." In going though her mother's belongings, Lilly finds an address that leads her to a farm where she meets three sisters, May, June and August, strong African-American women who run a beekeeping business. Kailey read several passages about Lily's first experience with bees. The book is in Lily's voice. The way the bees poured out, rushing up all of a sudden in spirals of chaos and noise caused me to jump. A bee flew straight at my forehead, collided with the net, and bumped against my skin. “She's giving you a little warning,” August said. “When they bump your forehead, they're saying I've got my eye on you, so you be careful. Send them love and everything will be fine." Eventually, Lily experiences "a frenzy of love" as the bees seem to say: "Look who's here, it's Lily. She is so weary and lost. Come on, bee sisters." Interpreting the passages she'd just read, Kailey said: "I learned all bees have mothers and that love isn't who or what, it is now...The way they took her (Lily) in, that was love. Love is everywhere." Kailey isn't enrolled in a 4-H beekeeping project--yet.